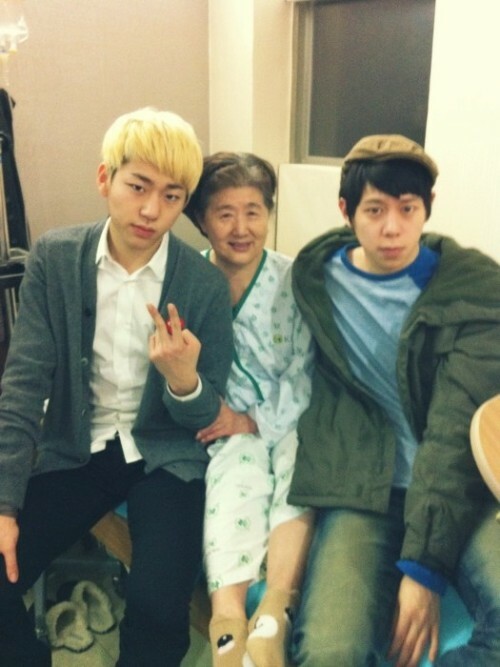 Zico was admitted to the Dongah Institution of Media and Arts college! Zico was admitted as a freshman at to the Dongah Institution of Media and Arts college this year along with Kim Do Hyun (who came in at the Top 5 for Super Star K3) and Lee Tae Kwon (who came in 2nd place on Birth of a Star 1). Notable celebrities currently attending this college are: Yang Yoseob (B2ST), Junsu (2PM), Lee Changmin (2AM), Lee Seok Hoon (SG Wannabe), Poppin Hyun Joon, Comedians Yoon Se Yoon, Jang Dongmin, Yoo Sang Moo, Park Sung Gwang, Song Yeong Gil, Actor Lee Gwang Su and etc. Who just happens to be Zico from Block B, if you didn’t know that already. Aww this is so adorable! It looks like only U-Kwon knows all the steps. Of course, I mean Jaehyo is a Apink fanboy (I wonder how he reacted today when he must have found out that Apink won first place). [MIR TO ZICO] Ziaco ㅋㅋㅋ When are you making your comeback~!! 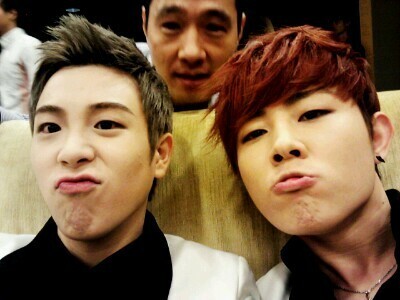 In Japan, U-Kwon Jaehyo In Singapore, B-Bomb Zico The leftovers, P.O. Park Kyung Taeil ㅋㅋㅋㅋㅋㅋㅋㅋㅋㅋㅋㅋㅋㅋ funny. 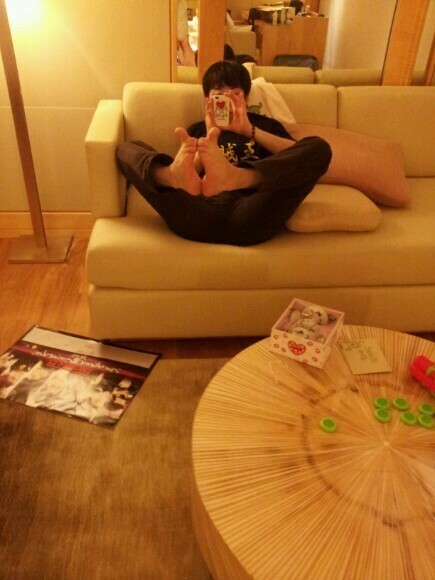 Hidden camera… Our hyung says his hands and feet are comfortable..
[JAEHYO] My hotel room is always so full. 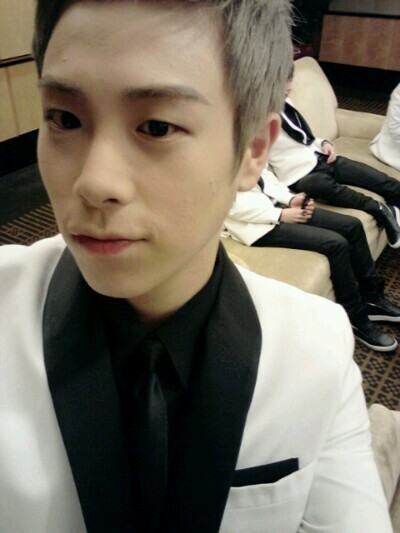 Jiho is in here, and the six of them are messying everything up. Whether we’re in Japan or the Philippines or Singapore – no matter where we are – my room becomes explosive with popularity. Kyung, you’re such a liar! [KYUNG] Ah.. I fell asleep and woke up to hear the members say they had fun playing water volletball.. They’re all excited talking about it.. But Zico said he didn’t go and stayed by my side. My friend..
[JAEHYO TO KYUNG] ㅋㅋ I asked you to come with us but you went to sleep! [KYUNG TO JAEHYO] Hyung, I was trying to get some sympathy going here! What do I do if you say stuff like that? Hurry, cancel the mention!! !